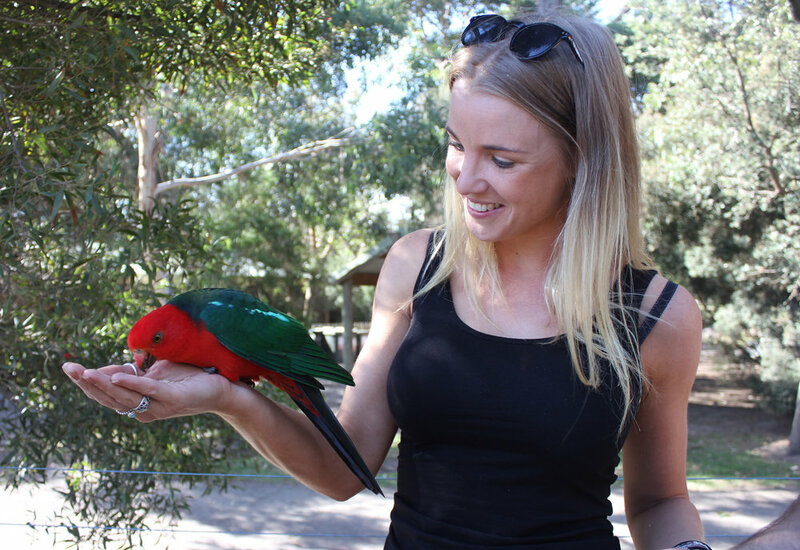 I don’t think anything could have prepared me for the sheer elation that holding a parrot would bring out in me. It was honestly one of the best parts of the trip. Moreover, the abundance of wildlife that dwells at Kennett River is something that makes it an inevitable tourist magnet. I was slightly dubious about feeding the birds here but the car park shop selling bird feed certainly sends a mixed message. Consequently, I’m not exactly sure whether to recommend this to you or not. However, if you’d rather not take part in the feeding anyway then just looking at these gorgeous birds is enough to make your day. Then there’s the added bonus that this is one of the most likely places along the Great Ocean Road to spot a koala in its natural habitat – which we did, thank goodness. Taking animals out of the equation, Kennett River is also situated on one of the most picturesque sections of the Victoria coastline, which makes it well worth your time and if you venture even further up the track I’ve been told you stand a great chance of encountering some unforgettable glow worm light displays. If you’ve timed this right then Apollo Bay is a dream location to stop for lunch, housing some of the best fish and chip shops in Victoria and, let’s face it, probably the world. It was here I was introduced to the delicious ‘Flake’ (the fillet of a gummy shark apparently…) and the not quite so fresh-looking ‘dim sim’ (basically a deep fried dumpling) which, if you speak to most Aussies, seems to be hailed as a national favourite although I’m not sure I’m convinced. If you want to stay longer in this picturesque fishing village it is certainly worth it for its stunning beach, which naturally plays host to a wealth of surf shops and boutiques. 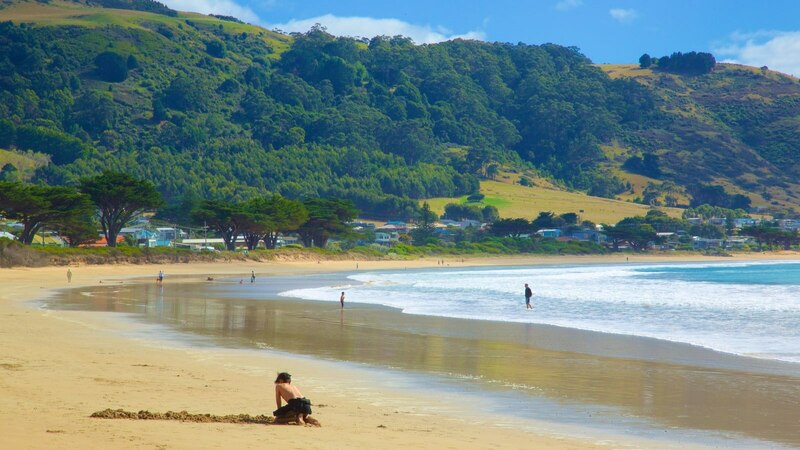 This is also another great base for your road trip if you’re intending to travel a little further than us, not least because of its proximity to the Otway Ranges, which could keep you busy for days. One of my favourite things about this landmark – made up of magnificent towering stacks of limestone – is the fact that there have never actually been ‘12 Apostles’. Since this site was heralded a major landmark for tourism in the 1920s, it turns out there have only ever been nine, before one of them dramatically collapsed in 2005 leaving the current total of eight. But I suppose that’s mother nature for you, and this landmark is a stark reminder to all of us that we should make the most of things while they last. The fleeting time we have left with these limestone stacks is probably one of the reasons they attract over 2 million visitors every year. Not so easy to get a selfie up here! Another hidden gem of the Great Ocean Road is located just 5 minutes away from the 12 Apostles section of Port Campbell National Park. This is the Gibson Steps: a monstrously impressive staircase carved out of a cliff by an ancient local tribe, leading down to the most brightly coloured beach I’ve ever seen. It honestly felt like I’d turned my vision up to high definition when I got to the bottom of the steps, it was crazy. I couldn’t think why there weren’t more people here but after looking in to it I think this is the sort of place you need to keep your wits about you, owing to tides that can change at the drop of a hat. Then there is the fact it’s really hot. And I mean HOT. After we’d reached the end point of our pilgrimage, we were ready to return to the absolute dream that is Lorne, where we’d booked to stay for another night for a sunset swim and a traditional Aussie barbecue on the beach. If you – like myself – had somewhat failed to comprehend the resolute importance of the Australian barbeque then don’t feel bad, but the long and short of it is they do it way better than us; I mean WAY better, no matter what country you’re from (with possible competition from South Africa but I won’t get in to that now). I had no idea that most popular beaches are lined with public-use gas barbeques, which are thoughtfully cleaned by the council every day and always left in a respectfully good condition by the people before you. It became apparent to me almost instantly that there is a huge amount of reverence that goes hand in hand with the Aussie barbeque and it appears as though everyone wants their fellow barbequers to have the best experience possible. And that we did, I can assure you. After all, when the meat’s fresh, the beer’s cold and company’s on-point, life doesn’t get much better.